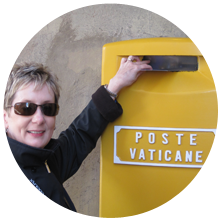 Scribbles and Smiles by J Christina: Pope Benedict XVI, "Viva il papa!" Pope Benedict XVI, "Viva il papa!" 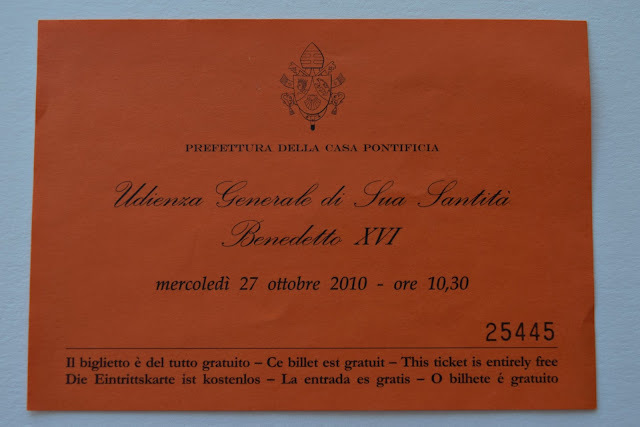 We had the pleasure of being in row eight at the Papal Audience with Pope Benedict XVI in October 2010. The audience was filled with thousands of pilgrims from all over the world, plus many tour groups visiting Rome. 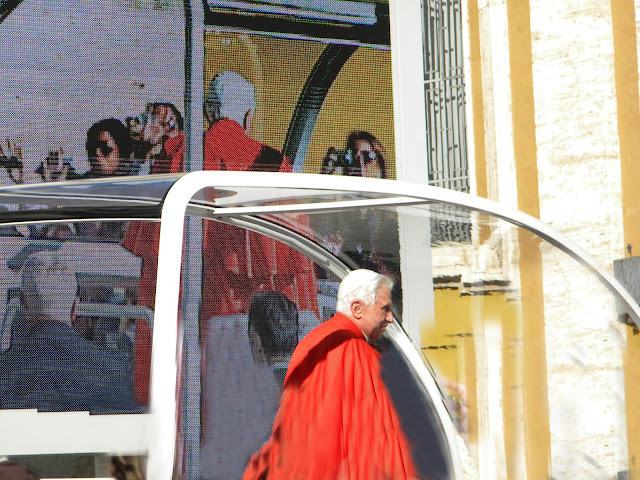 Pope Benedict XVI arrived in his Popemobile and was driven around the circumference of St. Peter’s Square - as he joyously waved and gestured to the crowd….causing many “il Papa” shouts!